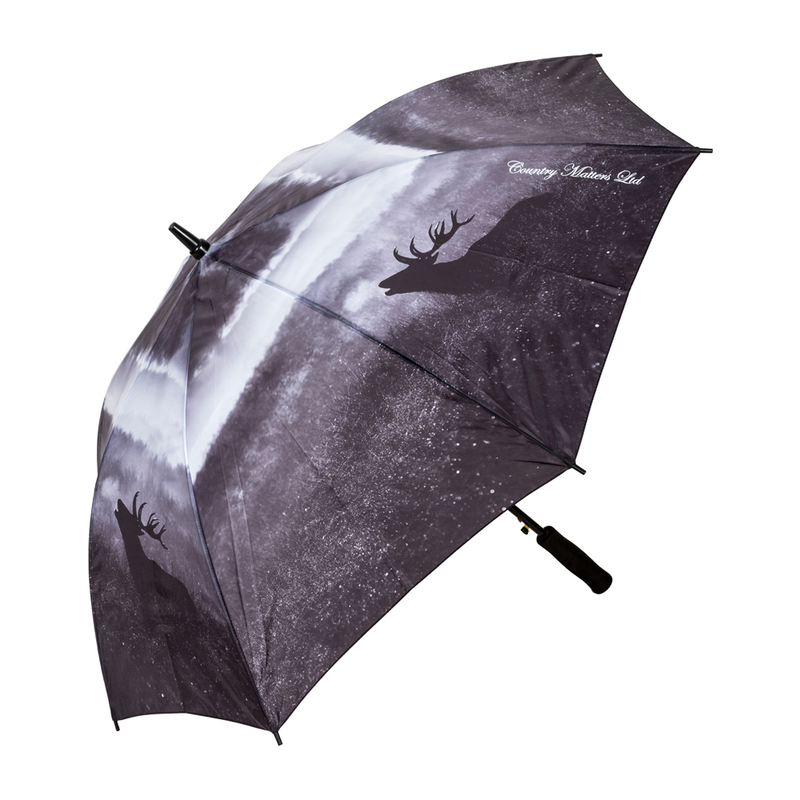 Keep this Country Matters Roaring Stag umbrella in your car boot, tucked away under the stairs or with you on the go, so you are never caught out in an unexpected downpour. Use the easy automatic opening function, and the incredible 116 cm expanded diameter will keep you and your friends perfectly sheltered from the rain. 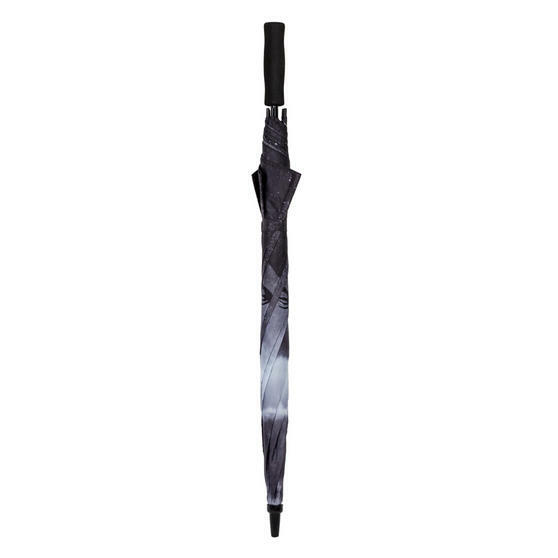 Made from brilliantly durable carbon fibre, the umbrella is sturdy, practical and smart, with an ergonomic soft-touch handle so you can take it with you anywhere. If you are a lover of the outdoors or simply always caught in a rain shower, this Country Matters umbrella will always come in handy. The beautiful design is ideal if you are a nature fan, featuring a unique and captivating photograph of a Stag in his natural habitat. 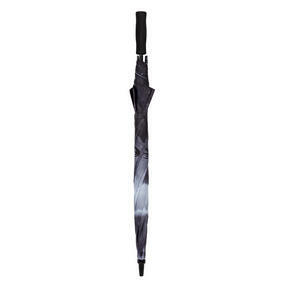 With a soft-touch handle for extra comfort and easy grip, the umbrella has a wonderfully efficient automatic release opening system. Windproof and waterproof, it is reliable and durable for all weathers, with a Velcro strap to securely hold it in place when closed. The umbrella folds down to a convenient and compact 5 x 5 x 90 cm when closed, while the hood opens to a generous 116 cm diameter.